Sacred space of the heart is a three day course/retreat into the depths of the energy centers. In this workshop we will be exploring and learning all 13 energy centers and energy fields(including activations) using tools to read energy fields(Sacred geometry), a Sacred meditation technique into the heart both male and female way, understanding of the human behavior patterns and how it impacts our energy centers and the mind. This workshop also consists of Tai Chi, Yoga, Zen meditation, meditation with crystals, teachings of crystals grids, Sound healing using various tools, teachings of sacred symbols and its uses (especially healing), mantras, mudras and the importance of affirmations, various ancient breathing techniques such as Tao 7 step breathing, daylight breathing/Solar breathing, ancient walking technique and Pat on meridian technique to open up all blocked channels in the body. Our workshop is suited for advanced teachers/practitioners that’s been on this spiritual journey for a long time and have been practicing/learning/teaching for quite sometime. If you’re a spiritual teacher, yogi, life coach, healer and or just someone that’s been following a spiritual life and is interested in advancing their knowledge in this area please come and join our group! There will be lots of other fun activities in this workshop such as spiritual painting, dowsing, physical activities, facilitated by head teachers: Jasmine & Kadiliya. Jasmine is a teacher and a mind/body therapist, she has the qualification in Advanced Clinical Hypnotherapy, Tibetan Bowl therapy/ Teacher, NLP/ timeline, Reiki Master /Teacher, TFT Algorithms, Angel Intuitive, Crystal Therapy and Orion-Theta Therapy and Diploma of Massage Therapy, and she is qualified to teach Sound Therapy, Meditation, Crystal Healing and Energy Movement and Wisdom/Chanting/Mudras. She has combined this wisdom to help people toward their inner harmony, and her healing energies prove to be very strengthening, rejuvenating and healing for the body. Mind and soul. Kadiliya is a gifted medium that was born with a range of extra sensory abilities including Clairvoyance, Clairaudience, Clairsentience. 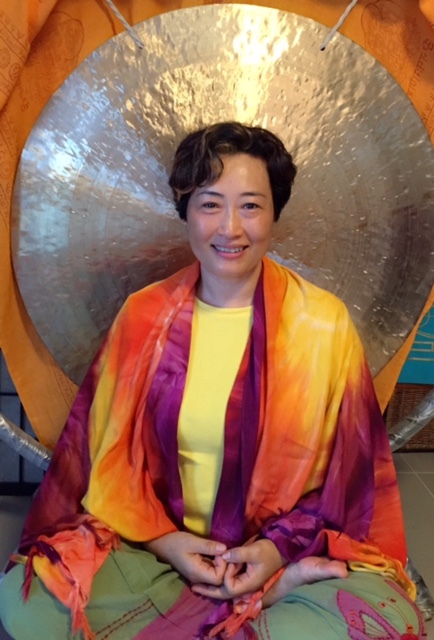 Trained and practiced in a number of healing modalities from multiple disciplines and traditions, her wide range of influences allows her to relate with people from all backgrounds; she has been using her unique gifts to help other people on their own paths for over a decade. She has traveled the planet and even other dimensions working to develop her natural talent and uses her gifts to help others awaken on their own paths through various techniques.